The IAM Workers Memorial was completed in 2001 dedicated to the remembrance of those who lost their lives while on the job. The bricks surrounding the Memorial bear the names of fallen members along with bricks donated from lodges and proud members of the IAMAW. 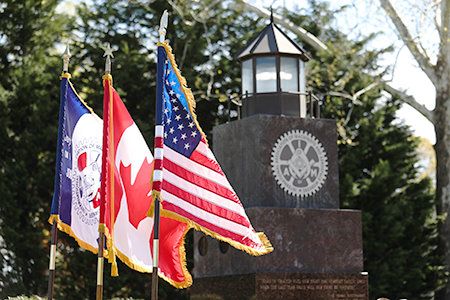 On April 28th each year a ceremony is conducted to remember those who lost their lives and rededicate ourselves to the prevention of on the job injury and death to workers.